Vivian I Godi born Sept. 26, 1932 in Pilot Point, TX to William and Genie Godi. It is with a heavy heart the we are announcing the passing of our Mother. 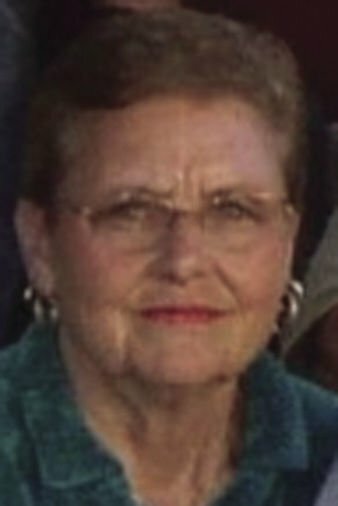 Moving to Dallas, TX for a few years after graduation from High School and working for Bank of America she then married Glen Greenhaw and moved to CA in 1955 in the Los Angles area and finally settling in Santa Maria, CA in 1958 to raise her family. Employed with Bank of America for 40 + years after her retirement she kept herself busy working for the Watch and Wager. She was also a member of The Order of Eastern Star for 50 years. Proceeded in death by her mother and father William and Genie Godi, her Sister and Brother in Law Billie Jean and Robert Bascom. She is survived by her Son Curtis Greenhaw, Daughter Jeanne (Paul) DeLangie all of Santa Maria, CA., Brother and Sister in Law Jewel (Anne) Godi, TX, Grandsons Chad and Christopher DeLangie, Santa Maria, CA, Great Grandson Axel DeLangie, Santa Maria, CA, Nephews Michael (Lucia) Godi, TX, and Mitchell (Priscilla) Godi, OK. There will be a Celebration of Life at her daughters home April 20, 2019 at 1 PM-1029 E Mc Neil Ave, Santa Maria, CA 93454. Arrangements are in the care of Magner-Maloney Funeral Home and Crematory. Sympathy notes and words of support may be expressed at www.magnermaloney.com.